Music, Magic, Great Highland Bagpipes and Mór! "MacTalla Mór has it all! Celtic Music for the masses. " Hartford Advocate- "A Gem! Melts the Walls between genres. A Musical Treasure." IMRW Magazine- "Compelling and Powerful. Like a winding coastal road with spectacular views. You need to hear this". Ale Street News- "MacTalla Mo'r an Exciting Celtic Roots Band is Taking America by Storm" Citizen News- Traditional Gaelic singing (Sean-nós) and Puirt a' Beul (Mouth Music) meets original Celtic Roots Rock and Fusion. 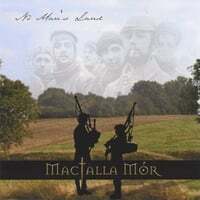 "MacTalla Mór, Gaelic for Great Echo, features The Great Highland Bagpipes, Piano, Vocals and Bodhran in a dynamic mix of Traditional Celtic, Roots Rock, Calypso, Blues and Jazz. Their champion pipers and award winning musicians and singers make them a crowd favorite at major Festivals and Concerts throughout North America. Their energetic performances receive great reviews, standing ovations and instant invitations to return wherever they perform. Along with Traditional Irish and Scottish tunes, MacTalla's original songs, arrangements and driving rhythms create an engaging and magical blend of the past and the present. In addition to headlining at major Festivals, Universities and Celtic events they've appeared on ABC and NBC TV, played for HBO and NYC’s Steinway Hall and are heard daily on radio stations throughout the world. They share the stage with Celtic greats Cherish the Ladies, Tommy Makem, Eileen Ivers, Clann An Drumma, Altan, Black 47, Clancy Tradition, Gaelic Storm, Glengarry Bhoys, Highland Rovers, Enter the Haggis and the Tannahill Weavers. And have performed along side the Tito Puente Big Band, Jon Faddis and Arturo Sandoval and have played command performances for Jose Feliciano, the Average White Band and Rolling Stones' Keith Richards.